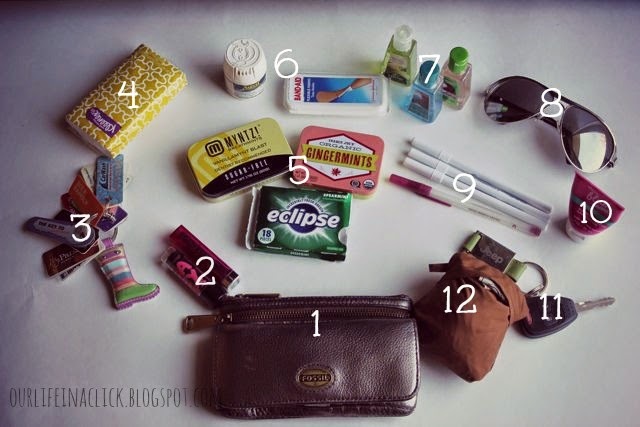 Welcome Heather from Our Life in a Click showing off what's in her handbag today. 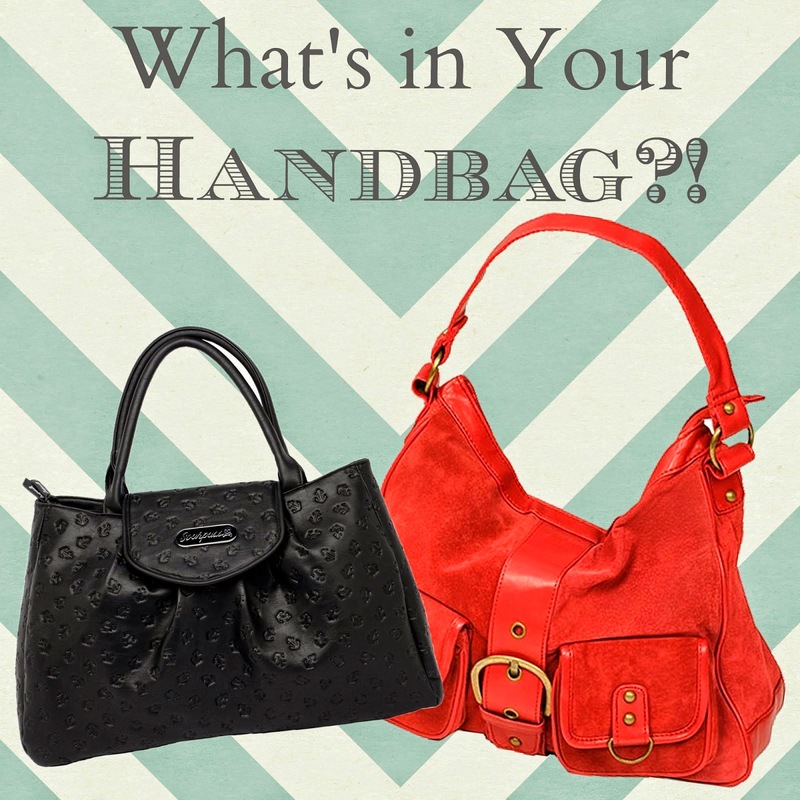 Hi, I'm Heather from Our Life In a Click and I'm so thrilled to be participating in Allison's "What's In Your Handbag?" series! I do love a good handbag but I usually stick with one for awhile when I find one that I like. This particular one is from Madewell and I got it for my birthday last year and it's been on my arm for the last 6 months or so. I love how the leather is getting more distressed the more I use it. 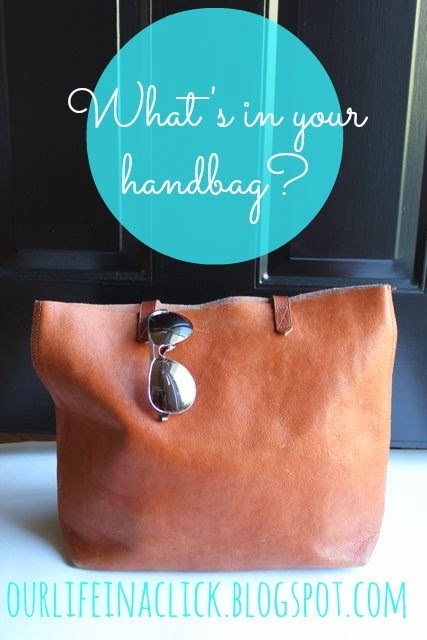 I had been on the look out for the perfect saddle brown bag and this one was IT! It's huge, I know...but it holds my laptop and or camera if I need to take them somewhere. So how do I keep it from becoming a giant black hole? This little purse organizer has been my saving grace (Christmas gift from MIL a few years ago). Here's a rundown of what's inside (minus my Iphone, since I was home the phone wasn't in my purse). 1)I love this Fossil wallet!! It holds everything I need and I can even put my phone in there and just grab it if I don't feel like carrying the whole purse. I hope you enjoyed this little tour of my big handbag! Thanks for reading and thank you Allison! Thanks so much for having me over Allison! It was fun!! I feel like I just looked through your private stuff Heather! Now I know who to ask for necessities. What a fun post! I'm such a vouyer, love seeing what others have in their bag. Haha! Fun! Thank you for sharing. 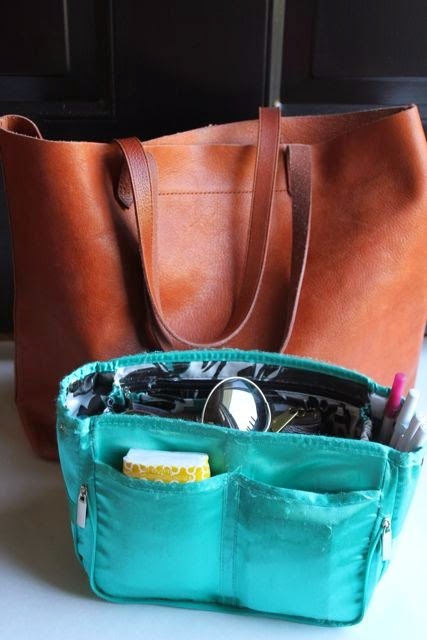 I picked up some great ideas on organizing my handbag! Beautiful bag! And the organizer is an excellent idea. My purse has everything dumped in there. This is so fun! I love how organized your bag is!